Don’t let it be said that the media industry is anti-innovation. Journalism schools sponsor hard-hitting studies saying news organizations must reinvent themselves to survive. A leaked innovation report from the New York Times shows that the venerable paper is serious about doing exactly that, even if it’s still struggling to figure out how. And KQED, one of the oldest public broadcasting stations in the country, is a founding partner at Matter, the San Francisco accelerator that’s openly supportive of startups working to disrupt old media business models. Matter—not to be confused with the online science and technology publication of the same name—hung out its shingle in 2012. The accelerator admitted its first group of startups in early 2013, and recently welcomed its third class of entrepreneurs. I took the occasion to visit the Matter garage on Bryant Street in the startup-riddled SoMa neighborhood and ask managing partner Corey Ford how the original mission—to foster sustainable new media businesses, while hopefully discovering technologies that shore up existing public media institutions in the process—is working out. My full Q&A with Ford is included below. My impression is that Matter is well on its way to becoming the key place early stage media startups go to access expert coaching and feedback, as well strategic connections with customers and investors. In that sense, it’s striving to fill a role similar to the one played by Mountain View, CA-based Y Combinator in the world of Web and mobile startups. The six new startups now beginning their five-month term at Matter range from community publishing to civic data collection, demonstrating the breadth Shapiro is talking about. CratePlayer offers a website where users can collect digital audio and video files and compile them into shareable playlists called “crates”—a charming reference to the way we stored LP records in Jurassic times. Known is building online publishing tools intended to help non-experts share lifestreams, start blogs, host podcasts, share photos, or run private social networks. LocalData wants to supply local governments and community groups with Web and mobile apps to support citizen data collection on things the conditions of vacant lots or streetlights in need of repair. It grew out of a 2012 Code For America project in Detroit. Musey will “connect fans with the online and offline spaces of artists and makers via mobile.” That’s all we know so far. Stringr wants to serve as a marketplace and clearinghouse where news organizations can find photos and videos created by freelancers or amateurs in the “crowd” and pay them for a license to the materials. Ford, too, says the Matter experience is really about finding and boosting entrepreneurs who are committed to changing the media business, whether through their current startup or the one after that. “Even if all of the startups fail, the experience will propel them to be leaders in the space in the future,” Ford says. The “Matter Three” class of startup founders. Corey Ford is at center, holding the sign. Here’s a transcript of my talk last week with Ford, a former Frontline producer who taught at at the Stanford d.school and created the Runway incubator program for Eric Schmidt’s Innovation Endeavors fund. One striking point Ford made was about leaving aside the “nouns” of the past—by which he meant newspapers, television, radio, and the other familiar channels for media distribution—in favor of the “verbs” of the future. After all, Ford pointed out, the point of good journalism and powerful storytelling technologies isn’t to perpetuate media institutions, but to inform, engage and empower their audiences to be smarter citizens and consumers. 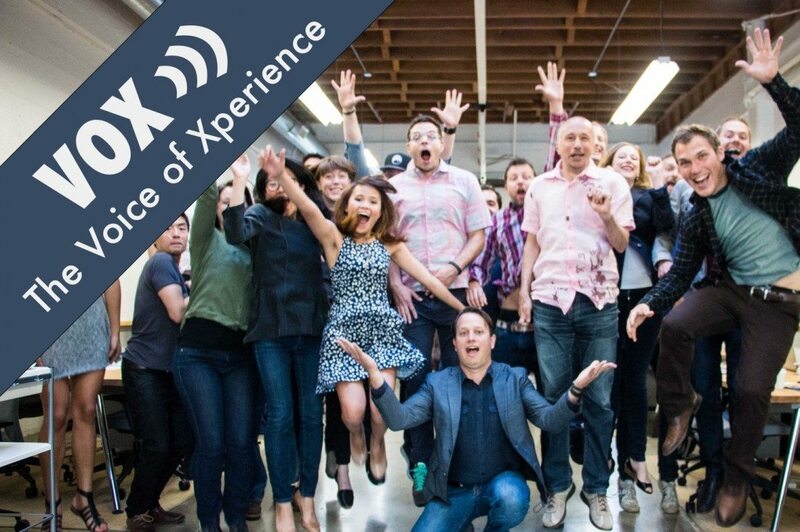 Xperience: Matter is two years old and you just admitted your third class of startups. What have you learned so far about the best way to run an accelerator for media technology companies? Corey Ford: Matter is a prototype and it always will be. I can’t ask my entrepreneurs to approach their companies like startups unless I do that myself—otherwise, why would they follow me? We have learned a lot. It’s mostly small adjustments and tweaks rather than huge shifts in strategy. The big change we did within Matter is that when we launched, we didn’t have a New York demo day on the schedule; it was just San Francisco. I realized it would probably be a really good idea to be able to open up the New York market of media investors and press, so we tacked on an additional six weeks [to the first Matter session] to have a New York demo day. There was such value in that that we said New York is now part of our program, but now we do San Francisco on a Thursday and New York the next Tuesday, so it’s back to back, without slowing things down. X: What are you learning about the screening process? Is there a good supply of qualified teams? CF: We are getting better and better about what we do there. A lot of it is based on pattern recognition, as well as recognizing little mistakes we’ve made along the way. We now have a very robust due-diligence process in terms of things like legal structures and the cap table—the boring stuff. We get companies at different stages. Some have never incorporated. Some have incorporated and made terrible mistakes that need to be corrected. So, one huge value-add that I never really thought we would provide is using the application and investment process to really get them legally and financially in tip-top shape, so that the only question on demo day and beyond is, are we excited about this company? That’s totally boring but it has really dramatic benefits. X: Do you feel that the reality of Matter, reflected in the kinds of companies actually going through the program, is aligned with the original vision, which was about attracting entrepreneurs who believe in the spirit of public media?